A flexible seating system with primary design focus on the elderly, physically impaired and is also wheelchair compatible. The system is suspended from a roof and may be temporarily stored away on the roof ceiling, or removed completely from the vehicle to maximize space or for maintenance purposes. 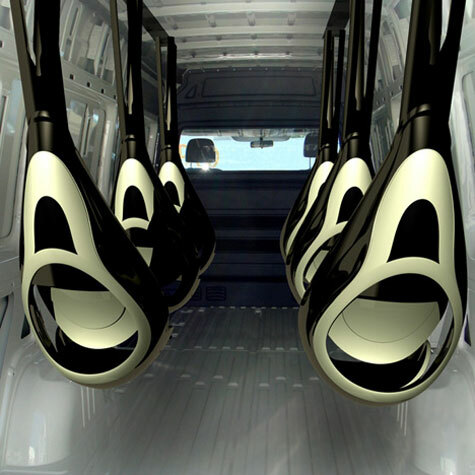 This new innovative design takes a whole new look at transportational seating arrangement and capabilities in the future. The 4NE1 is designed by Christopher Simmons, a student from Monash University, with the elderly and physically impaired in mind but as its name suggests (for anyone), anyone can use it, and kids might particularly enjoy the ride.